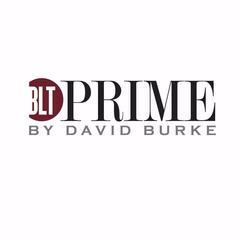 BLT Prime by David Burke is a contemporary steakhouse in the heart Washington D.C. offering breakfast, lunch, dinner and weekend brunch. BLT Prime showcases classic steakhouse fare with inspiring ingredients, creative whimsy, and modern accents. Helmed by celebrated chef David Burke, the menu, organized by category, offers an impressive selection of the highest-quality dry-aged steaks complemented by savory sides.<br><br>In addition to the award-winning menu offering steaks, seafood, salads and more, guests will be able to enjoy our signature warm popovers, and the weekly-changing specials, highlighting seasonal ingredients, local vendors and unique preparations as part of BLT Prime’s dedication to maintaining strong relationships with local purveyors in an effort to preserve both flavor and the environment. The menu will perfectly pair with a craft cocktail or a selection from our world-class wine list that features both Old and New World Wines.<br><br><br>If you do not see the position you are interested in listed below, please feel free to send us a resume to: careers@e2hospitality.com – we will do our best to reach out to you if there is a match!